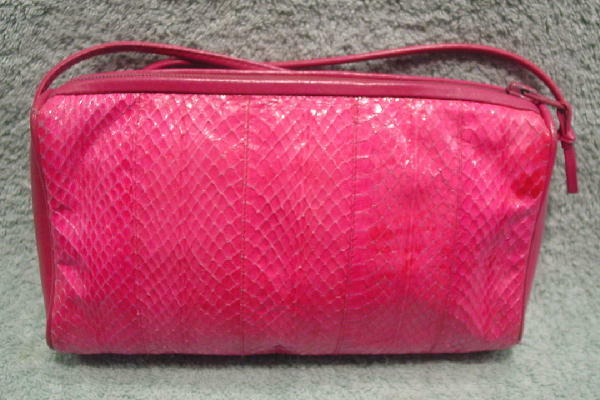 This vintage hot pink snakeskin purse was made in Hong Kong. 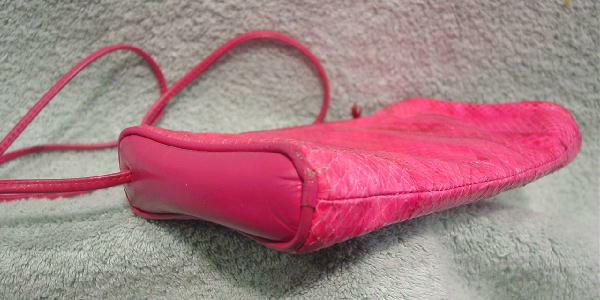 It has magenta-pink sides and a top rim edging the side to side zipper. There is a small leather zipper pull and a 47 1/2" long by 1/4" wide shoulder strap. The side rims have some dark spots and areas where the color is missing. 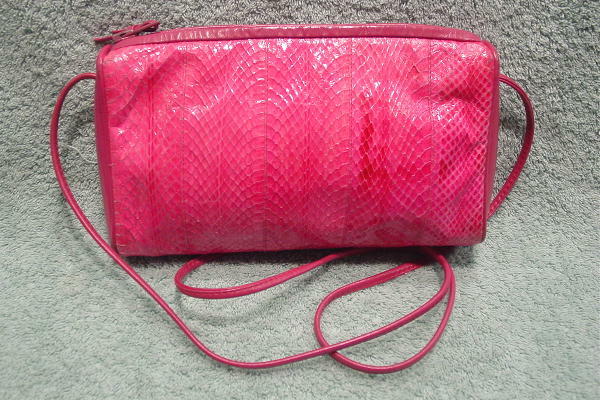 It has a hot pink faux leather lining and an interior zippered pocket with a white fabric lining. 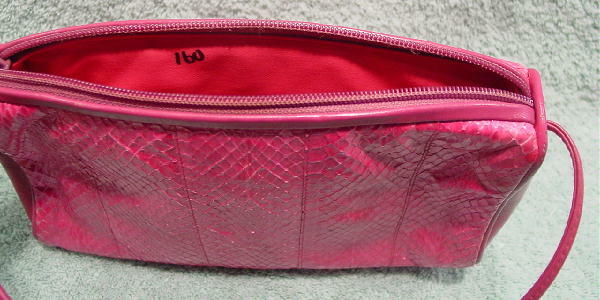 It has the number 160 (stylist's inventory code) in black on the upper front lining. It has nice scales with an eyecatching color.